When you use our website, you may also be sent third party cookies, from our service provider. 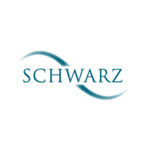 This website is owned and operated by F.A.Schwarz Ltd. If you have any questions about our cookies or this cookies policy, please contact us by email to davidclacher@schwarzopticians.co.uk .